We were at a get together at our relative’s place. 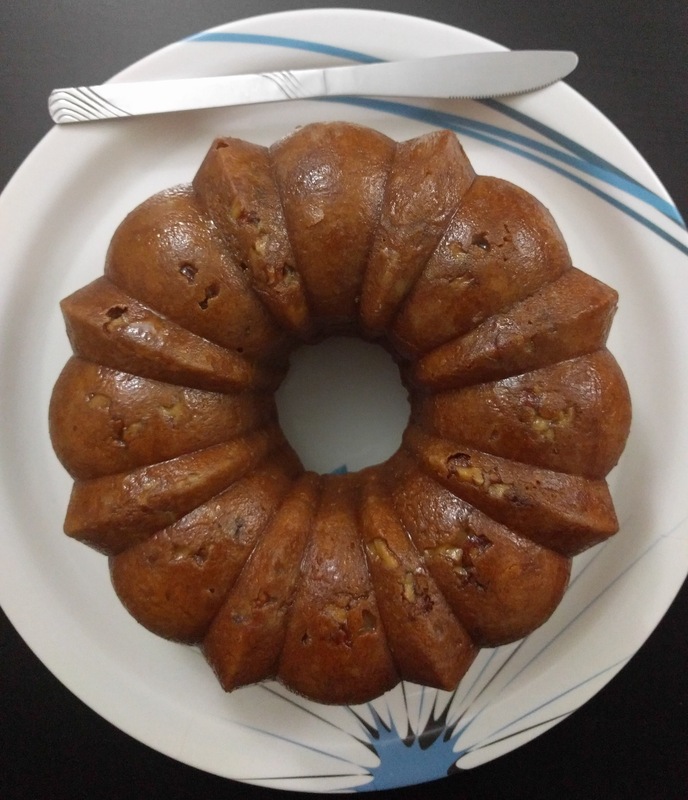 While talking about cuisines and various dishes, suddenly all were nostalgic about a rum cake which our aunt Usha Naik (family friend) had baked and relished by all for some party in the past. As we had recently moved here, we were not obliged to relish it ☹️. 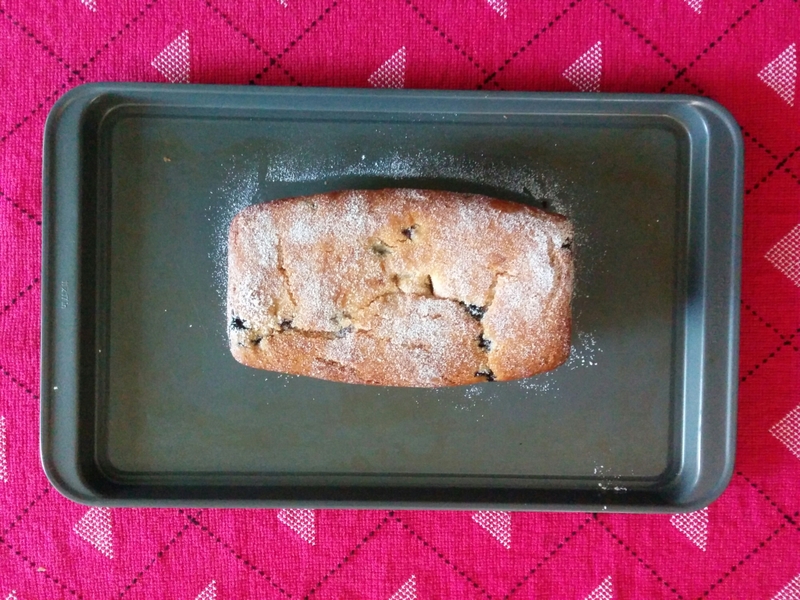 However, I was very eager to get hold of the recipe and try it out. Christmas was around the corner and I was planning to try it out then. So I grabbed the recipe from aunt Usha and was all ready with the ingredients in my pantry. But to my dismay my hubby was in no mood for any more cakes that month as be already had consumed our wedding anniversary cake by mid December. I was just waiting for an occasion to seek an opportunity to bake it. Recently was my paternal grand dad’s 100th birthday remembrance. So I didn’t wait at all and just decided to try it out no matter what. My grand dad too was a foodie even at his old age. Though he was a doctor himself and health conscious, he did not give up on relishing delicious food. Thanks Usha aunty for the recipe. We and many of our friends enjoyed the yummy cake. Let’s begin with the recipe. I have done very minor changes to the original. Grease and flour a 10 inch tube pan or 12 cup bundt pan. Sprinkle about 1/4 cup or less walnuts at the bottom of the pan. Mix all the rest ingredients and then fold in the remaining walnuts. 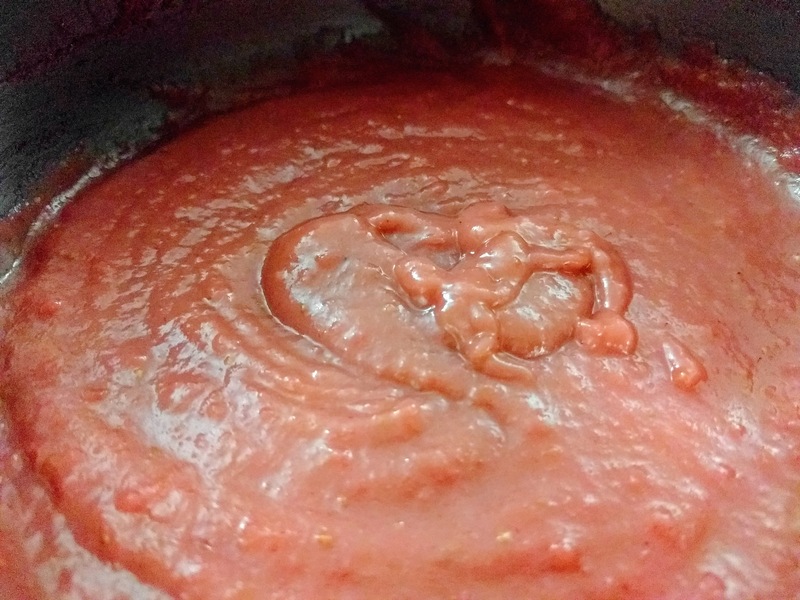 Pour the mix into the greased pan and bake in the preheated oven for an hour or till cake doneness. 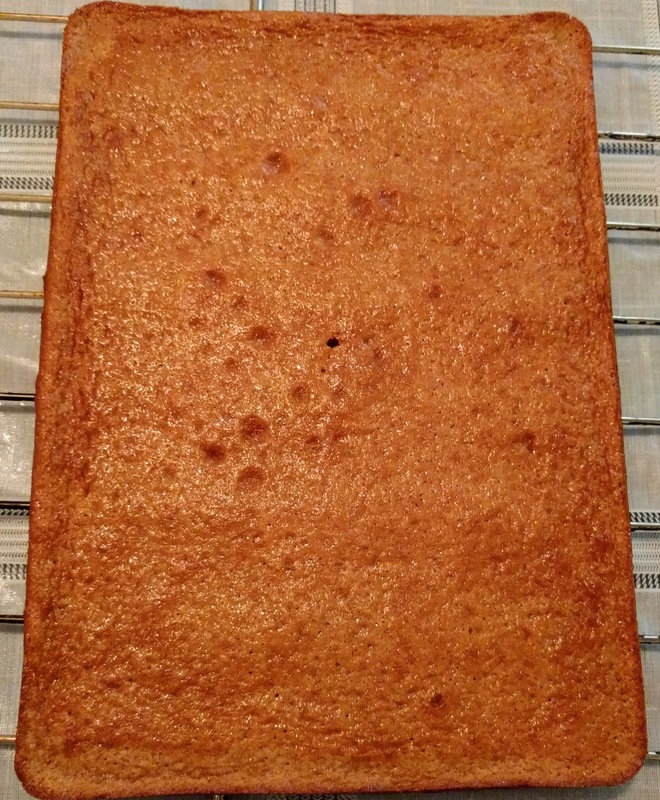 Remove the cake and allow it to cool completely on a cooling rack. For the glaze, melt the butter in a saucepan. Stir in the sugar and water and continue stirring till sugar dissolves. Allow to boil for 5 mins and then remove from heat. Drizzle and smooth the glaze over the top and sides of the cake. Allow the cake to absorb the glaze completely and then repeat till the entire glaze is used up. This recipe is passed on to me by my mum. 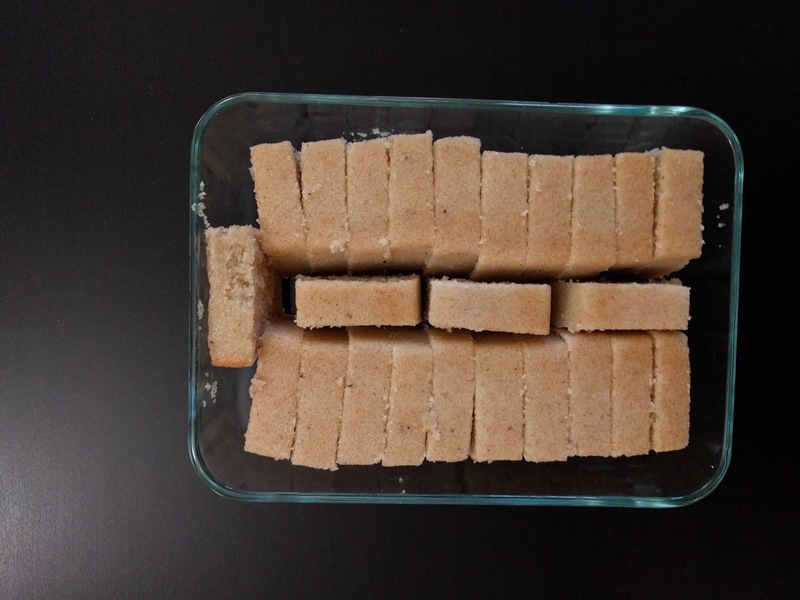 It’s nothing but sooji halwa or semolina dessert in cake or loaf form. I have always relished this since my childhood. So would like to share it with you. Heat ghee in a pan. Once hot, roast the semolina till slightly roasted but take care it doesn’t turn brown. In a mixie, mash banana with sugar. Once the semolina is cooled, add the mashed banana sugar mix into the roasted semolina. Try to remove the left over banana mix from blender blending the milk. Then add this milk into the semolina. Now add the cardamom powder, baking powder and salt and mix well. Grease a loaf pan and pour the contents into it. Bake this in an oven preheated at 350 F for around 25-30 mins or till a skewer inserted in the center comes out clean. 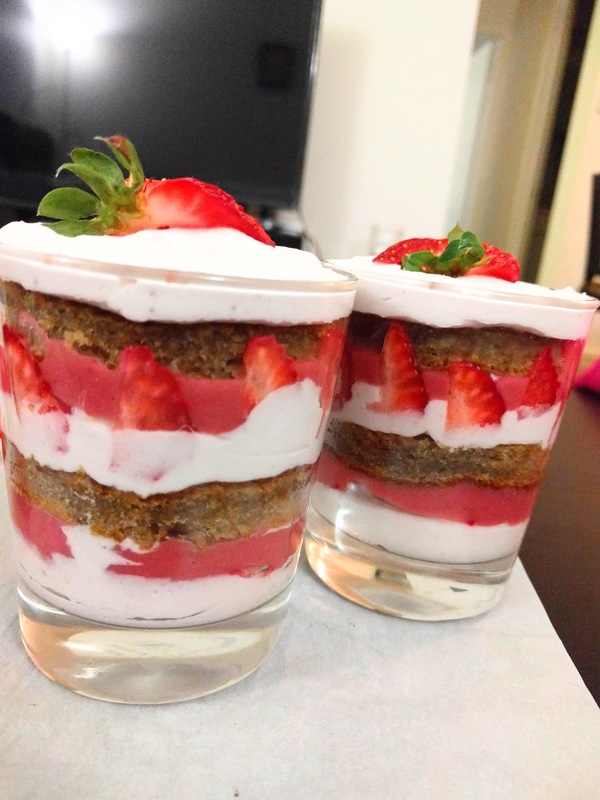 Enjoy the cake for dessert or snack time. 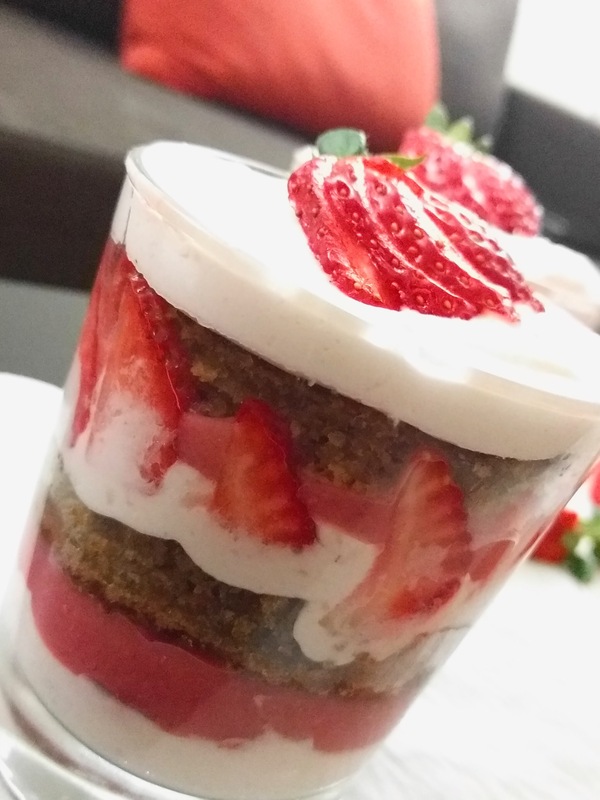 Cakes have always been one of my favorite desserts or snack and being passionate about baking I always like to experiment with a variety of baked goodies. As a child I always waited for the Christmas season to arrive or looked forward towards an invite at a Christian family’s home for a birthday party,etc. I know it sounds insane. But kids are kids, innocent at heart. As a child I always had this fascination towards the ribbon cake. At that time, the exact type or name of the cake was so immaterial to me. Rather I would always describe the cake to my parents or the shopkeeper to get what I desired. I would just say a “cake whose slice has pink or green or both color bands on it.”As a college girl too, I remember I used to buy the ribbon cake, quarter kg from the Apollo bakery in Ponda. 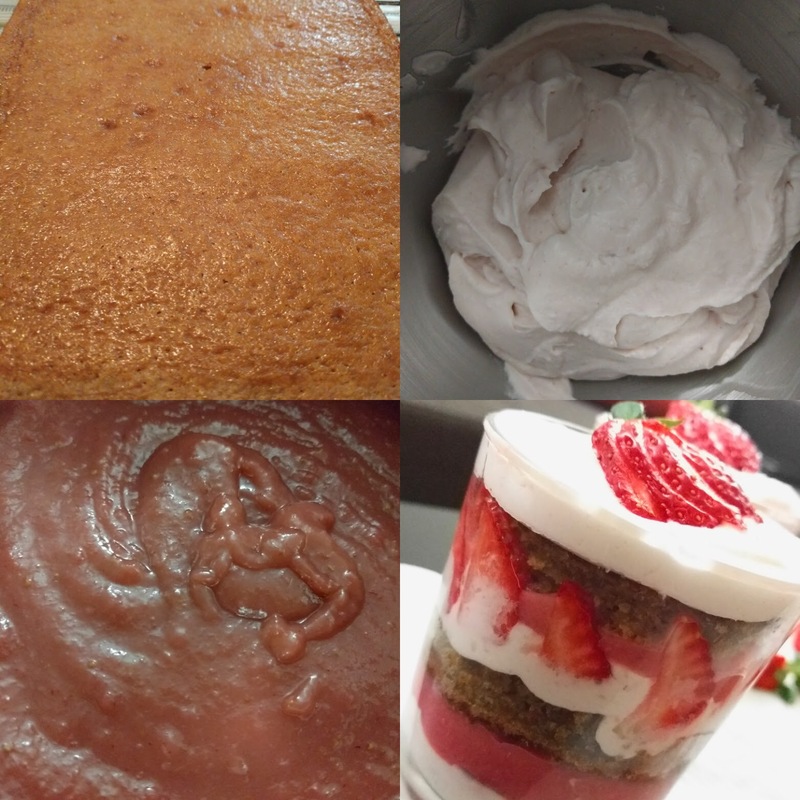 A few days back Ms.Xanti Pinto posted ribbon cake pictures on a food group (Base Recipe by Xanti). I was so damn delighted to see those. It was also my mum’s birthday that day. 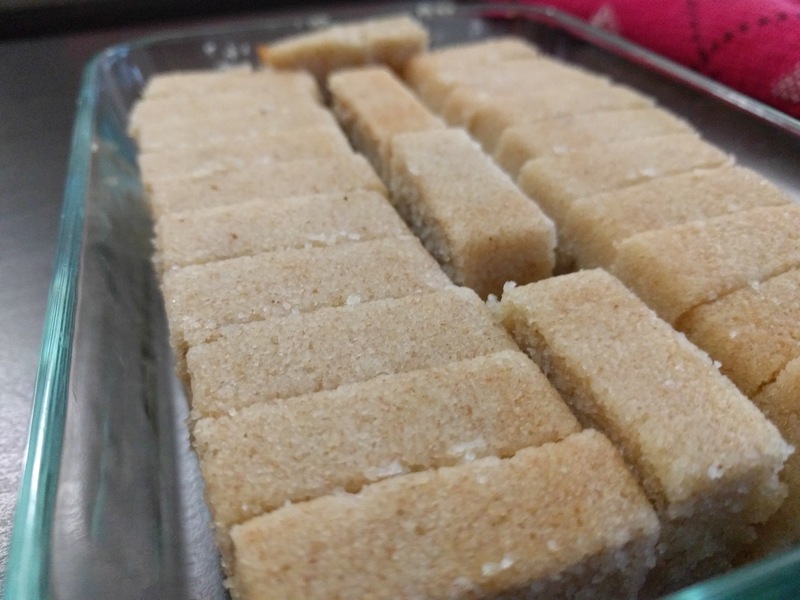 So I thought I should be seeking the recipe from her as soon as possible and baking one at once so that though seven seas away from mum can celebrate her birthday as well re-live my childhood. However I could not get the recipe in time. But as Children’s Day (14 November is celebrated as Children’s day in India – my home country) was round the corner, what better day than this one to re-live my childhood. So taking Xanti’s recipe as base and making a few modifications to it, here we go ahead to bake the Ribbon cake. Pre-heat the oven to 320 F.
Grease a 9 inch loaf pan and line it with parchment paper. In a bowl, sift the all-purpose flour, salt and baking powder. 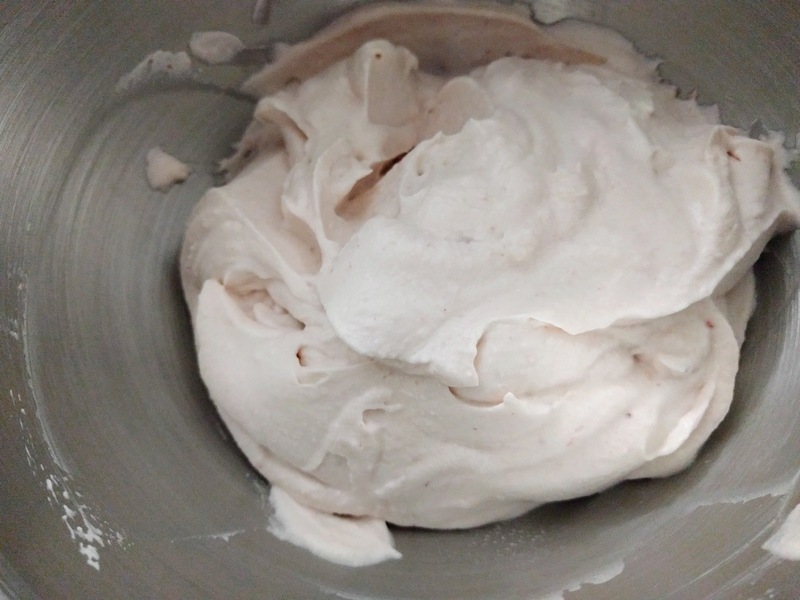 In a mixing bowl, beat the butter and sugar till light and fluffy using a hand mixer. Add one egg at a time and beat the batter further. Add the vanilla extract and mix well. Now fold in the flour mixture into the wet ingredients until well incorporated and a smooth lump-free batter is achieved. Take 3 bowls and spoon a tbsp of the batter in each of these bowls and retain the rest. Spread a smooth layer of vanilla batter at the base of the loaf pan. On top of this, pour one of the colored batter. Smooth this out like a color band, however you need not spread it as a layer. (It also wont be sufficient to spread as a layer). Repeat till rest of the colored and vanilla batters are consumed, alternating each. Remember that you have to spread only the vanilla batter as a layer. Finally smooth out the surface and tap the pan against the counter top to get rid of any air bubbles. Bake the loaf for 45-60mins or till a toothpick inserted in the center of the cake comes out clean. 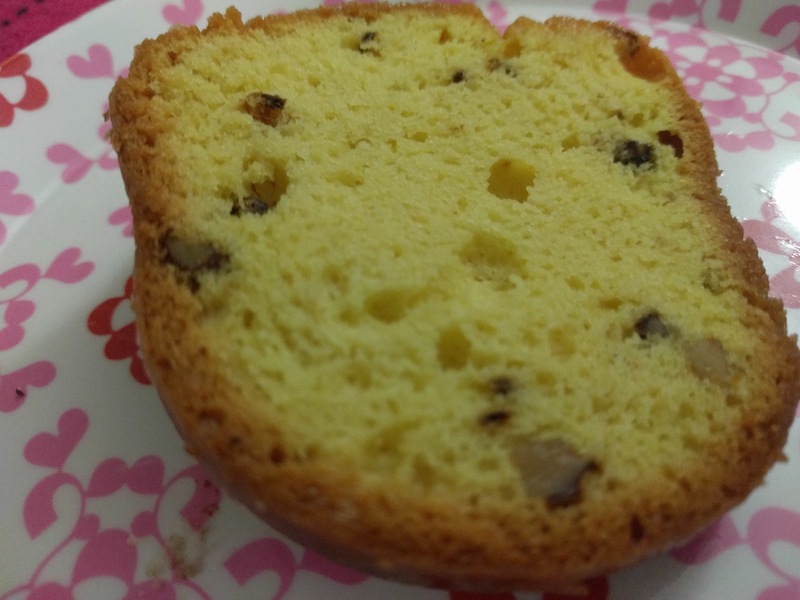 Remove the cake on a cooling rack and allow to cool down for 10 mins. Cut the cake into slices. Happy Children’s Day. Enjoy! I understand that most of my posts these days are connected to Johnson’s farm. Being a fading crop this month, blueberry picking was only for recreation purpose.We could pick very few around a cup or half a pound I guess. So many choices were going on in my mind blueberry sauce or jam or cake or just eat them like a fruit. 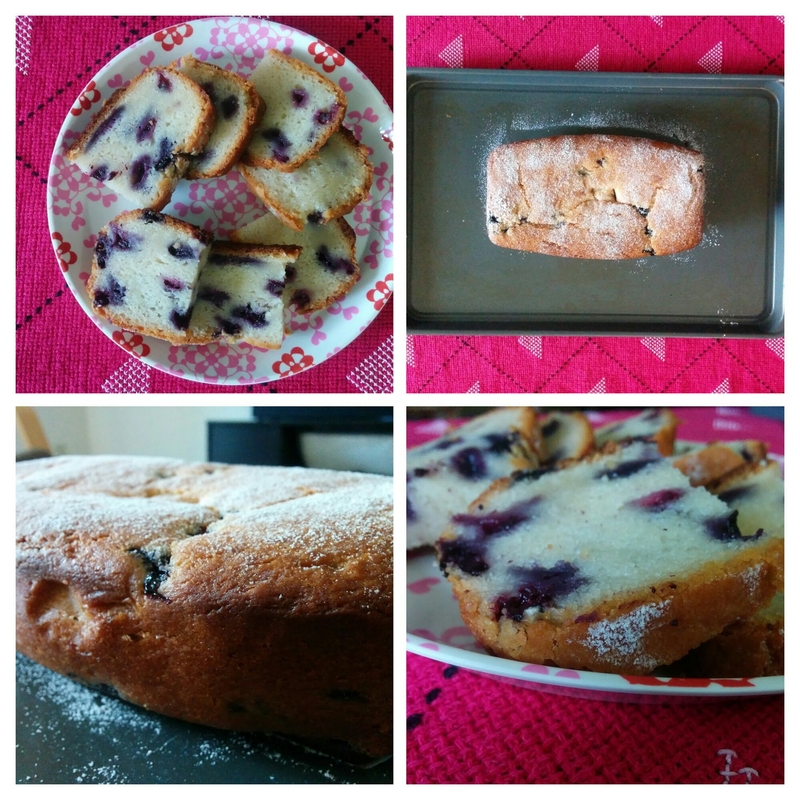 Finally I decided to bake an eggless blueberry cake. I apologize that I could not take any photos during the batter making process as I baked this cake in a hurry. Pre-heat oven at 350 F.
Grease and line a 9 inch loaf pan with parchment paper. Sift all-purpose flour, salt and baking powder in a bowl. In another bowl, beat sugar and oil together till it becomes fluffy. 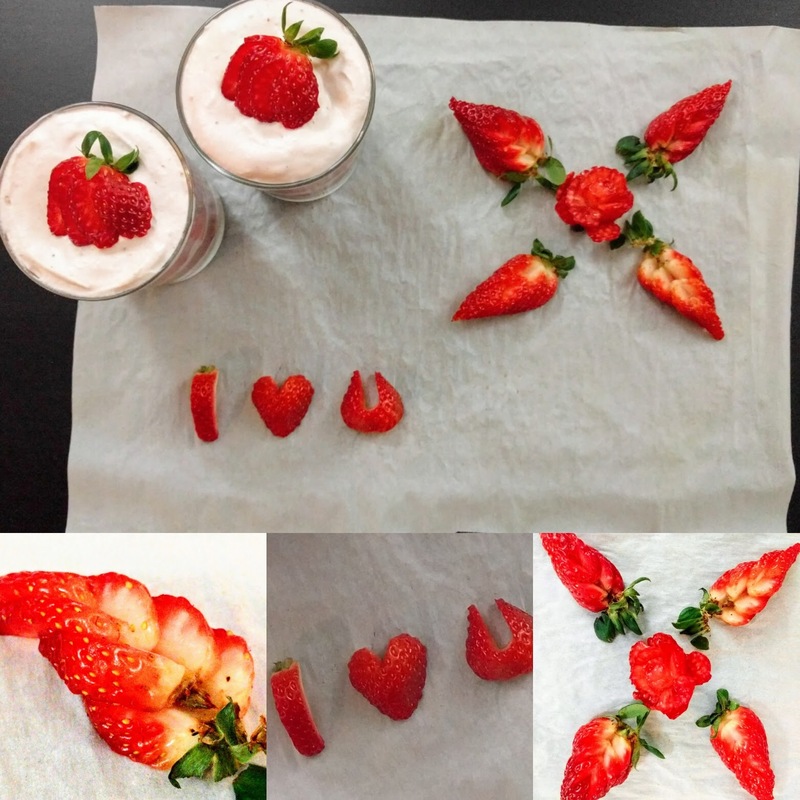 Add the vanilla extract, milk and yoghurt and beat further till you achieve a smooth consistency. In the flour mix, add the blueberries and mix. Fold in th dry ingredient blueberry mix into the wet ingredients. Put this batter into the greased lined loaf pan and bake for around 55-60 mins or till a toothpick inserted in the center of the loaf comes out smooth. Allow it to cool for half an hour on a cooling rack. Dust some icing sugar over it and slice and serve with tea. My parents are here and so we were planning a long weekend getaway trip. My mum is 95% vegetarian and prefers eggless even with regards to cakes. So I decided to try something different still maintaining my family liking. So decided to explore the zebra cake. Sift all purpose flour and baking soda in a bowl. In another bowl, mix milk, vinegar, sugar, oil. You can increase the amount of powdered sugar based on the sweetness you prefer. Add the dry ingredients to wet ingredients in two parts and mix well. Divide the batter into two equal halves. Sift cocoa powder in one of the batter bowls and mix well. Grease a cake tin and dust it with flour. (Remove the excess flour). Preheat oven to 350 F or 175 C.
Spoon two tsbp full of plain batter in the center of the tin. Do not try to spread the batter in the tin. Straight away spoon two tbsp full of chocolate mixture on top of it. Continue doing this till all the mixture has been used. You end with lots of alternate rings in the tin. Bake the cake for 35 mins or till a toothpick comes out clean when pierced in the center of the cake.